Every performer faces challenges, but it is how you deal with them that make the difference. 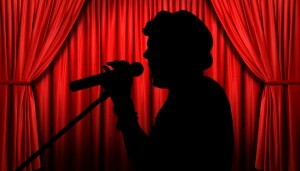 From an audience perspective, performing can look easy when you’re skilled at it. What they don’t see is what every performer knows, and that is, it’s not. It takes practice, patience, training and experience to “look” like it is effortless (or for it to truly “be” effortless). Plus, a great performer develops a “can do” professional attitude to make the best of any situation and make it work in the moment. Here are some tips that will help you make some sweet “lemonade” from any sour occurrence during a performance. time (and consequently a bad attitude) if the venue isn’t full, the sound isn’t great, etc. Your audience, no matter how big or small (even if it’s just the bar staff), wants to be engaged and like you. Pretend you’re in a huge arena (it’s good practice) and give them a reason to root for you. If you’re the front person/lead singer, you set the tone. The front person’s main job is to engage the audience (unless you’re Oasis’ Liam Gallagher—but that’s another story), communicate the song and command the stage. Of course, there are many more tasks (like sing well or dance! ), but the band takes its cues from the lead singer in terms of energy and handling situations that arise. Hint: Don’t ever criticize or admonish your audience or audience members. This can go south quickly. It is better to ask someone ahead of time, like the club or a manager, to handle rude behavior or loud talking, etc. Be in the moment. Remember that music, in general, and singing, in particular, are “right now” propositions. Being present in the moment is key to making “lemonade” from challenging, difficult and embarrassing situations. Not perfect, but genuine and real. Audiences want to see you—not you as “perfect”—but you as an artist they can relate to. How you get to a moving performance is by letting go of having to be great and perfect. This means that your training, technique and experience holds you through it and allows you to take your performance to the highest level. Stay in the song. 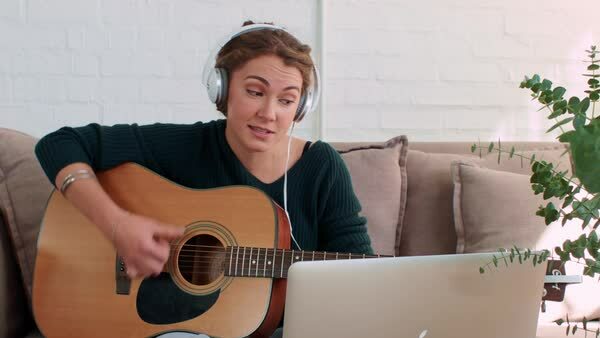 The song is your emotional context—especially for singers. If you are truly in the song, that is your focus. Interruptions, technical difficulties, band difficulties, audience activities (coming in—going out) handled well are a passing thing. Handled badly, it only makes things worse. You are there to give your best performance, and the key to that is in the song. It is in that context only that the artist truly shines. Transform the moment. I saw U2 perform at the Oakland Coliseum back during their Joshua Tree tour, and I was sitting way in the back. I remember something happened to The Edge’s guitar, but Bono and the band never stopped. In fact, Bono engaged the audience by asking them to sing with him. The entire place rang with their voices. So huge, in fact, it became an experience (not just a performance). By accepting what happened and responding by embracing the audience, Bono and the band created something magical. In that moment, I knew I wanted to do that—move people through music. Embrace the audience as your friend. Talk in-between songs and introduce yourself to them. Be open and share your experience. If a mishap occurs—you trip or knock something over on stage, your guitarist breaks a string, etc.—it’s okay to motion or talk to the audience, crack a joke and so on. The audience is not your enemy. Go with the flow. This means take the whole experience as it comes. Here’s an example. My band once played a club that was having major technical difficulties as we arrived. We, and all the other acts, were delayed, having to wait for them to get it working and hope that the audience would wait, too. When we finally started setting up, our bassist told me that he needed to leave due to another gig. Talk about a curve ball! Playing without a bass player is not what I had envisioned and had no clue how to handle. I could have fought with him, insisted he stay or refused to pay him—but I didn’t. I thought, “Okay, if that’s the way we need to perform, so be it; we’ll make it work!” I offered to pay him and let him go. Remarkably, he decided to stay, and the set went great. Lemonade! Be professional and respectful. A professional attitude can make the difference between a huge scene and a small adjustment. It’s okay to stand your ground on some things, if it makes a difference in your performance, but make sure you are calm and professional. See performing as an adventure. Performing is a choice and a gift. It always changes. With challenges come big rewards, if you can meet them with an open attitude. For inspiration, think of Prince’s performance in the pouring rain at the Super Bowl. He defied the “lemons,” rose to the occasion, and gave the performance of his life! 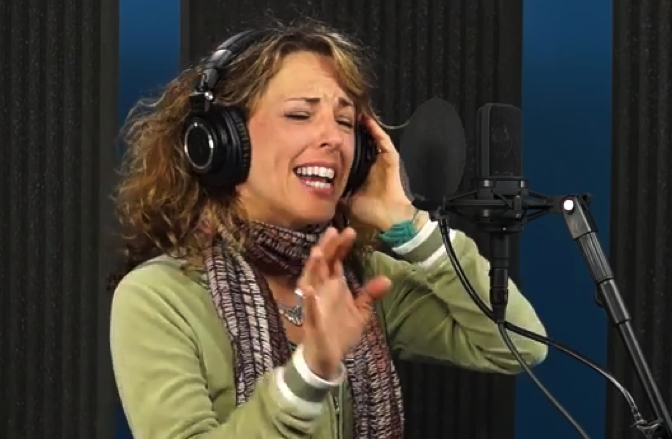 TERI DANZ, Ed.M., is “America’s Vocal Coach” and a club hit recording artist. She specializes in pop vocal technique, performance coaching and vocal producing; with a focus on vocal resonance and technique, range and presentation. Named one of the Top Vocal Coaches in Backstage magazine (6-25-15), Danz was also a Backstage 2014 Reader’s Choice Finalist. Her writings include the book, Vocal Essentials For The Pop Singer: Take Your Singing from Good to Great (Hal Leonard Inc.), and articles for Electronic Musician,Music Connection, EQ, Roland and Boss Users Group Magazines, Guitar Player and many more. Danz also publishes The Singer’s Newsletter (free to subscribers) with monthly tips and sponsors, Casio, Sennheiser and The Modern Vocalist World. An accom- plished singer/songwriter, her act has PRO Endorsements by Sennheiser and Graph Tech. See teridanz.com.